While bilberry has been used in Europe since the Middle Ages, it is only recently that you can find bilberry complex as a dietary supplement. Bilberry, otherwise known by its scientific name of Vaccinium myrtilus, grows around the world, in both northern and southern hemispheres. Bilberry is the name of the shrub that produces bilberries. These berries are good to eat and are in the same plant family as blueberries. They are also known as whortleberry and bleaberry in parts of Europe. One of the reasons bilberry is gaining in popularity is because of its medicinal value and the fact that it is being marketed as bilberry complex. Today, when new supplements which aid this or that condition, are being produced daily, it’s hard to know what really works and what is just a ruse to make money. Bilberry seems to be one of the good guys. Bilberries contain natural substances known as anthocyanosides, which help vision. They do this by increasing circulation in blood vessels in the eyes which helps with improving vision. 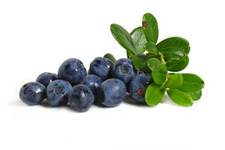 Bilberry complex has also shown great potential for protecting the eyes from macular degeneration. It is also touted by some people as an aid in night vision, but so far no scientific evidence substantiates the claim. While many other health benefits are attributed to bilberries, not all have yet been proven to be true. Some of these included helping with circulation, reducing inflammation, helping to heal mouth and throat irritations, stopping diarrhea, and lowering blood sugar and cholesterol levels. Bilberry complex is not for everyone. You should not ingest bilberry within the two weeks prior to any surgery, if you are pregnant or breastfeeding, if you take medications for diabetes, or if you have prescriptions for blood clotting. There are indications that bilberries might act like aspirin in slowing the clotting of blood. Even people who have no problems with bilberries should not use bilberry long-term. Bilberry complex supplements sometimes have other ingredients which are thought to work with the bilberry to improve health. Among these are lutein and ginkgo. Lutein is an antioxidant found in spinach and other green, leafy vegetables, while ginkgo is also a plant derivative taken to help with circulation and improve memory. If you don’t take bilberry complex as a supplement, you can use the leaves to make bilberry tea. Best results are obtained when you use one to two teaspoons to make a 3/4 cup of tea. Unless you live in Europe, it might be hard to find bilberries. Bilberries look a lot like blueberries but they are darker and have red fruit inside. In fact, in Europe, dentists use bilberries and their red stain to show youngsters how to properly brush their teeth. Bilberries are picked in the wild throughout Europe and in some countries are considered communal property. Anyone can go on the property of another to pick the bilberries. The berries themselves are very soft and juicy and quite difficult to transport for any distance. Fresh bilberries are rare and can cost as much as the equivalent of $35 in shops. Because of their unavailability, it is only reasonable that many people seeking the benefits of bilberries might decide to take bilberry complex supplements. If you are diligent about seeking bilberry seeds or plants, you will be able to find them at online nurseries which sell herbs. They are hard to grow, which may be the reason they are not widely cultivated. If you do have success, besides just eating them off of the bush, they are great in pies, jellies and jams.